How to check if your phone will work in New Zealand. Plugging into a New Zealand cellphone network when arriving in New Zealand is a necessity if you want to keep phone expenses to a minimum. It will also allow you to communicate with new friends, stay in touch with home, and plan the next leg of your trip. This means that you will likely have to get yourself a SIM card and a new NZ phone number for your time in New Zealand, whether you’re from as close to New Zealand as Australia or as far away as Europe. But for most of us, we are pretty attached to the phone that they already use back home. That’s all well and good provided that it is compatible with the New Zealand network. The article below goes over the few checks that you will need to go over to ensure that your phone works in New Zealand. In short, nope! This is by far the most expensive way to use your phone. Not having a New Zealand phone number will ensure that nobody here in New Zealand will want to call you as it would be pretty expensive for them to do so. This means no phone calls from activity providers to give you more info about the tour, no calls from employers to set up a job interview… you get the picture. 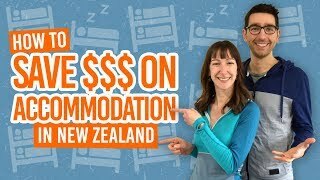 For long stays in New Zealand, you should cancel your plan back home and look into it again when you get back in your country. Pro Tip: This will also give you a great opportunity to evaluate your needs and see if that huge bill that you are paying monthly is really worth it. 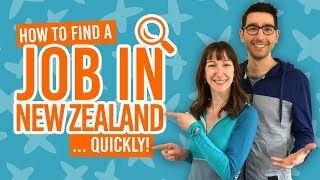 By the way, here are a few more ways you can plan your trip to New Zealand in New Zealand Travel Advice: How to Plan a Trip to New Zealand. Good job! Your phone is ready to go. As long as it meets the conditions in the two sections below, you will be able to use it in New Zealand. Generally, when a phone is purchased through a network operator, it will come locked to the network you bought your phone from. This means that you will only be able to use it with a SIM card from that said operator. To be able to use a phone on a different network than the one you purchased it from, you will need to unlock it. To do so, refer to your contract and see what is the fee to unlock your phone, as well as the time-frame. In many cases, phones can be unlocked for under $50 if you have been with an operator for 6 or 12 months. You can also unlock phones through phone unlocking stores that can be found pretty much everywhere. This is usually more expensive than doing it through your network operator though. Is your phone compatible with the New Zealand network? Every New Zealand network uses GSM technology. This is the newest cellphone network technology as opposed to the older CMDA one. The CMDA technology is still widely used by many companies like Verizon in the USA, Bell in Canada or China Telecom in China. However, all those companies start transitioning toward GSM technology in 2017. To make sure that your phone will work in New Zealand, it will need to support the GSM technology. To find out if your phone supports GSM technology, refer to your user manual. One more thing; a phone working on a CMDA network could be supporting GSM as well, as many phones have a dual compatibility. You can find this information in your user manual as well. Skinny has a very handy online phone compatibility tests. This will help you know if your phone is compatible with the Skinny and Spark Network. To use it, you will need your IMEI code. Instructions on how to find it is on the test page. Will my apps work overseas? Now, this is the tricky part. Many apps are geo-locked and will only work when linked to a country-specific SIM so be aware that your app may not be working here in New Zealand. You may need to create a different account here in New Zealand and subscribe to the New Zealand version of it. This is mostly true for apps dealing with copyright work like music or videos, such as Spotify. We strongly advise you to cancel your subscriptions before departure or be ready to do so shortly after landing. Other apps like Facebook Messenger, Viber, Whatsapp, Google Maps, etc. will work just fine here in New Zealand. It will make no difference at all when using them on your new phone aside from having to confirm your new phone number. By the way, don’t miss these 12 Travel Apps You Need to Have When Backpacking in New Zealand. Apple, Google and Outlook accounts have an auto-detection system that will trigger a security check when connecting from a different country. Make sure that you have another option than a phone number for that security check otherwise you might be locked out of your accounts. Security questions are the way to go.